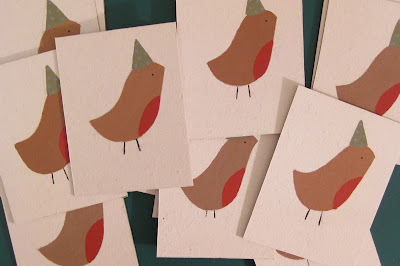 I've been making Christmas cards, not to sell but to send! 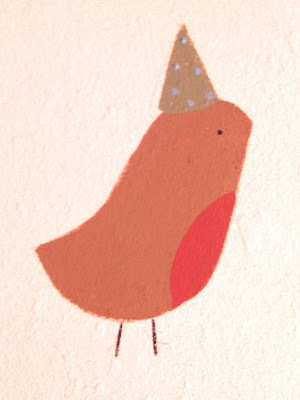 Seeing as I've been doing lots of birds recently, I thought I'd continue the theme, so it's a robin in a party hat on some recycled cardboard. Winging it's way... (oh dear, I think I'll stop there).